Day 815 – Structure | A schizophrenic's journey from consciousness to awareness. In Oneness & Equality! My early on programming, culture, MTV and upbringing as such; would lead my schizophrenic mind(s) and myself lol, onto a path of uproar, revolt and sabotage of the system(s) and what I found of structure representing the system – in my surroundings. Chaos, internal war, addictions and the extreme of culture, a deep rooted separation from life, dignity and responsibility, would be my brands my impulse and my drive. I was in fear and opposition to what was of structure. That was how I communicated. Such where my accords. That was the MTV life style that fucked me over like any old Kurt Cobain – story. Then I discovered desteni. This was in 2009/2010. Desteni (a group of people dedicated to save life !) showed to me something of a purpose, a meaning, and truly genuine so, a self honesty that was not seen to man before. From there I started to walk my process, really getting into it in spring 2012, going deeper into my mind layers and programming such – from learning to write mind constructs and learning to work with self forgiveness. To correct myself, to change myself, end my addictions, and become a better version that I found within myself was something I could be. This has since then been the process that I walk to unify myself with myself. To take back the abandoned, lost and forgotten separated qualities of me, to unify me with myself. To discover myself all over again. To find depth and self honesty so eternally rich and in bloom, all as a discovery of my own physical as the heaven within (so without). This earlier searching, and my parents love and care for me, helped me back to sanity – from my last addiction trip, in central Europe winter 2011/2012. In spring of 2012, I started to get back to medications that I needed. I moved into my parents basement, and I went into a sort of monk hibernation and experience. After some 4 years of recovery, working on myself, I had changed my addictions to such of more support. 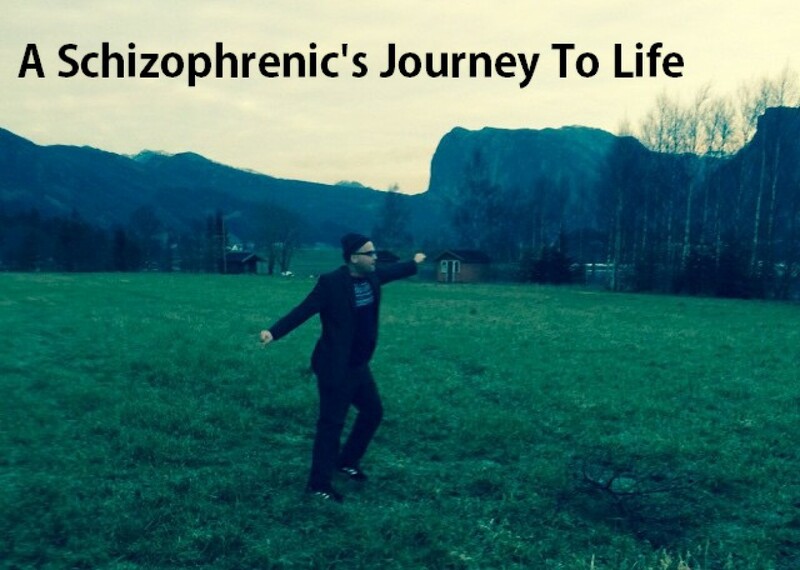 I had started to jog, I started to swim, to write, to make videos about how I experienced my process and my schizophrenia, I got back my drivers license, I found new friends. I healed old wounds. I payed back debt. I forgave myself. I forgave others – as myself. I changed. Change takes time and so does healing of old wounds, but the point is that I had started to alter my ways. I had seen what monster I had become, how I had let my mind/programs play me for a fool. So this was me now going back to heal, to recover and to recreate my life. To unlearn, and embrace the old me and unconditionally forgive it, and stand to create something new – in support of life/the physical. I July 2016, I moved into a Camphill Village. That was one of the smartest thing I have done so far ! So thanks to desteni I am now a new being. Or shall I say a being that is being discovered. Me discovering myself. It was always there – I had only suppressed and denied it to exist. No more. Be free Tormod, genuine and real ! So from my “Tormodic spring” of 2012; I was to settle some storms within me. I had lived a chaotic life since school start literally. I grew up in Norway in the 80’s mostly, and one thing is crystal clear about that crux in oil rich Norway, school was living hell. School was not in particular harder for me than for anyone else, but I recon I am able to see today clear into the dimension and history on my school years and I think to myself that those (primary 9) years was 9 years of slow, slow, burning hell. The anxiety I learned from school (competing, bullying, abuse, neglect, ignorance, fear) I had to take out elsewhere, I had to “ventile” it out. I had to let out my angst. And that was how I grew more and more into the uproar, vandalism and sabotage of society. So school basically taught me to feel angst to hate and to fear, to be hard and to be a bully. Again though, nothing more have taught and directed me more in life than anxiety. Let’s just say it’s been some pretty tough times. So for me in 2012, being able to look back at my life with clarity and insight, I can clearly see this example of what school really taught me. It is no secret. For me to forgive the the teachers and my parents, but most importantly and profoundly to forgive myself within it, for how I had allowed the programs/abuse run crazy in my mind/life. I am learning today to use my mind and not let it take use of me. So for me structure can be something as simple as a shower, or a folding of clothes, cleaning of bathroom. Preparing breakfast. Doing dishes. Reading a book. To monitor my activities/physical workouts. Writing a blog. As well as to keep a close contact with my physical, to keep myself grounded, and in my body, and not lost in some projection of my mind. To work on my relationships in my surrounding – where I am at and not my relations to some distant demi-god or illuminati “thing” – of mind. For me today I am loving to connect with structure, I am more or less eager to take on ideas of making my everyday better organized, structured and clear. To gain that overview from self. You see there is a 360 flip right there. I was in sabotage of life and systems. Today I am taking charge of these systems, responsibility, self honesty, with and as myself. I am making me the authority of my systems and they are my relations to my surroundings. That is how “easy”, yet impossible I have come to make my world. So with self honest perspective and clarity of mind, I take on new challenges in the name of structure and self investigation. I want to learn more about what I can become in this life. I would like to live till I am over 100 years on this mother earth – I want to create unite and embrace all of life – as it is a part of me. So I have come to embrace being structured, organized and clear. To always plan, prepare and prevent. It is a humbling experience. It’s perhaps baffling to get a grip on the “how” but this is a snippet of the way I have turned my life story around, 360 – flip side lol, newborn Tormod getting structured and organized in Camphill !